Hodkinson on Rapidplay Championship updated with 17th August results. We play in the Norfolk League and have 3 teams, the Seals (Division 2), Crabs and Shrimps (both Division 3). 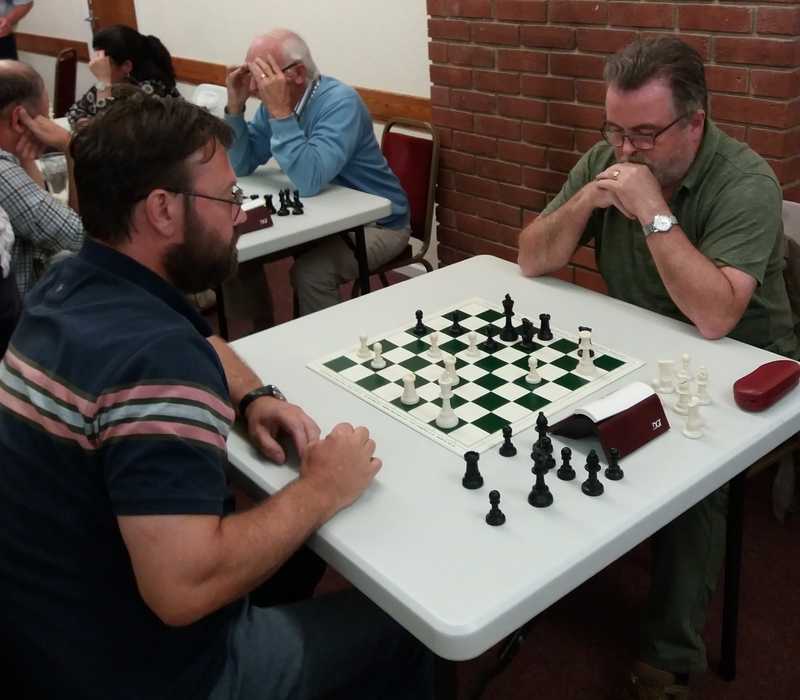 We run a Club Championship throughout the season (standard play), and also a rapidplay competition. 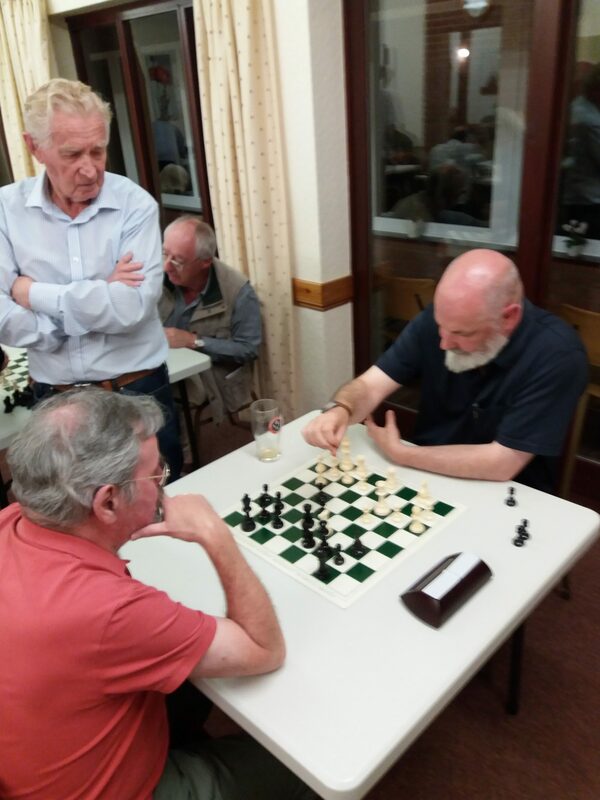 If you love playing chess or would like to learn how to play, then please contact us, or just call in on a club evening and have a chat and a game. To be followed by a Wake at the Morley Club, Sheringham. Seals are 4th out of 9 teams in Division 2 with 13.5 points, only 1.5 points behind the Division leaders, Lowestoft A.
Crabs are comfortably top of Division 3 with 20 points, 3.5 points ahead of second placed Fakenham Oddfellows. Shrimps are 9th out of 10 teams in Division 3, but have only played 4 games whereas others have played up to 8 games already. So they have games in hand to climb higher in the table. In the Rapidplay Handicap Cup against Wymondham the score was 4-4 however we just lost out on handicap. In the Williamson Cup Quarter Finals we were beaten by a strong Fakenham team. We now move to the Plate competition where we have been drawn at home against Kings Lynn. Congratulations to Amy Little on winning the Norfolk Junior u-14 Championship, with a score of 5.5 out of 6. Amy’s performance for the tournament was an excellent rapidplay grade of 137. The full results can be found here on the county website. 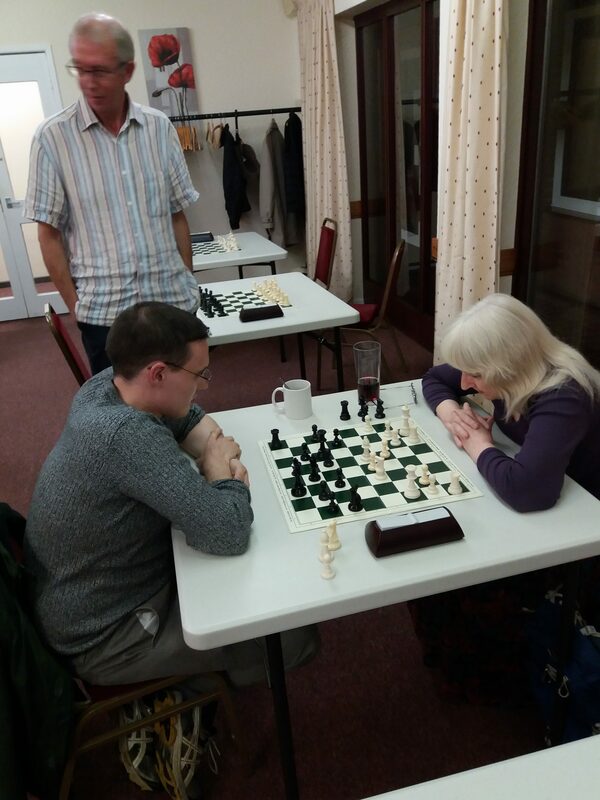 My club championship game against Paul Sneesby last night (02/11/2018). I played black and faced 1. d4. After e6, which surprises some white d4 players, he played e4 and we had a french – which i am happy playing. I missed a tactic on move 11. Instead of Qb4, I should play Ndxe5, and if fxe, then Qh5+ double attacking the Knight on d4, therefore winning a pawn. Comments/ideas/mistakes etc would be good. After the games last Friday evening there are new leaders in both competitions, but still all to play for! Just two new results and Ruta Kriksciuniene is still in the lead despite a loss to Alex Evans. Don’t forget to submit any interesting games for the website please, either to Alex or myself. The Club Championship for 2018-19 is underway with four games played so far. The early leader is Ruta Kriksciuniene with 1.5/2. Please see here for results. 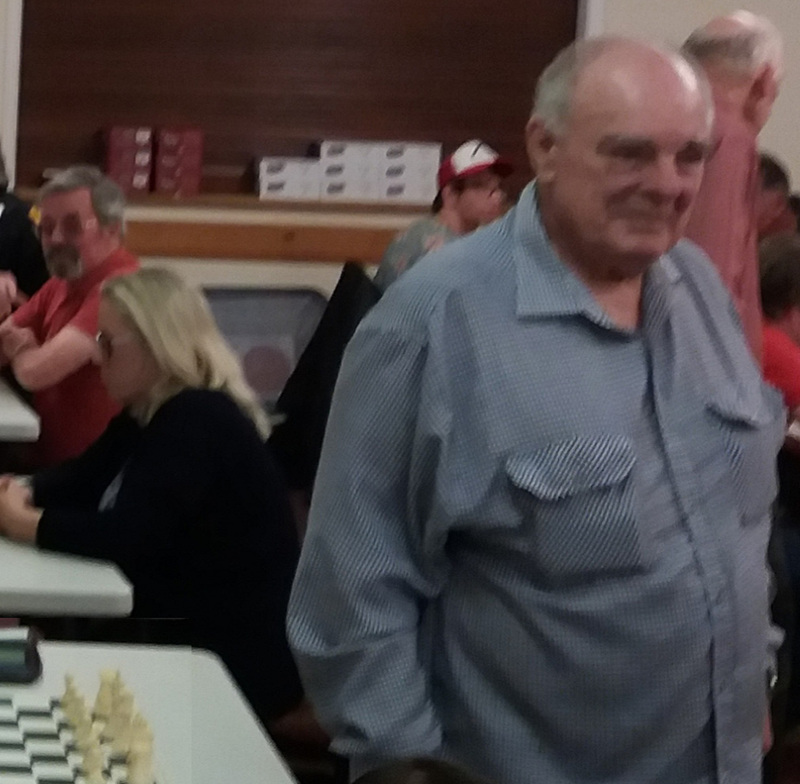 In the 2018 Rapidplay Championship well done to John Pearl for being the second club member to complete all his games. Amy Little is still in the lead with 12.5/20. Please see here for results. 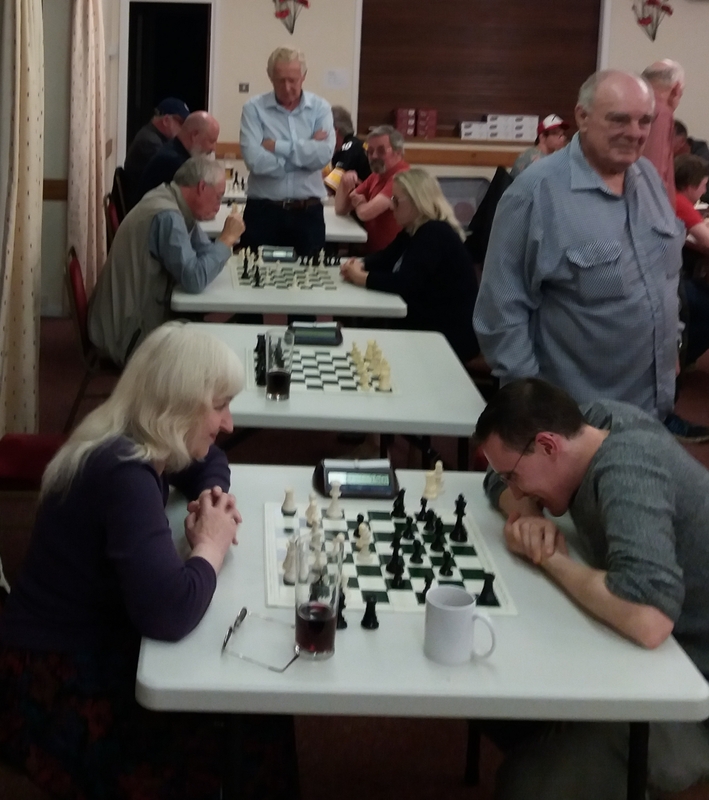 Players from North Norfolk and St. John’s, together with some guests from other clubs, took part in a friendly rapidplay match over 14 boards. 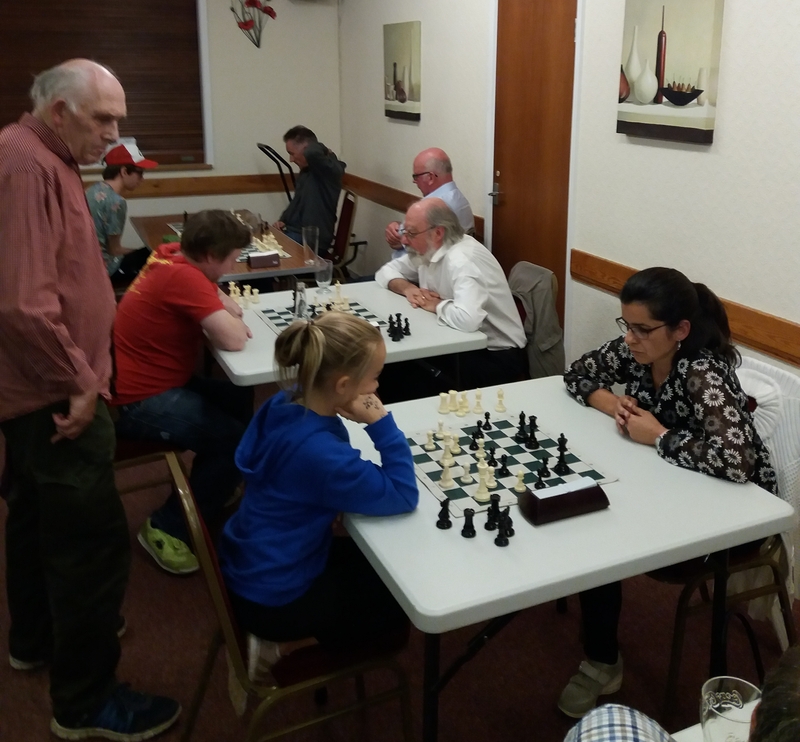 With everyone playing twice and 25 minutes on each clock it was a enjoyable evening with some close fought games and time scrambles. Thanks to Alan Holmes and Peter Hodkinson for organising the event and to David Payne for the pictures. Rapidplay Championship updated with 17th August results. The Rapidplay Championship table has been updated, please see here for full details. More than half the games have now been played, and well done to Amy Little for being first to complete all of her games. She is currently in the lead with 12.5/20 and certain to finish in the top half of the final table. All games in the competition need to be completed by the end of December. 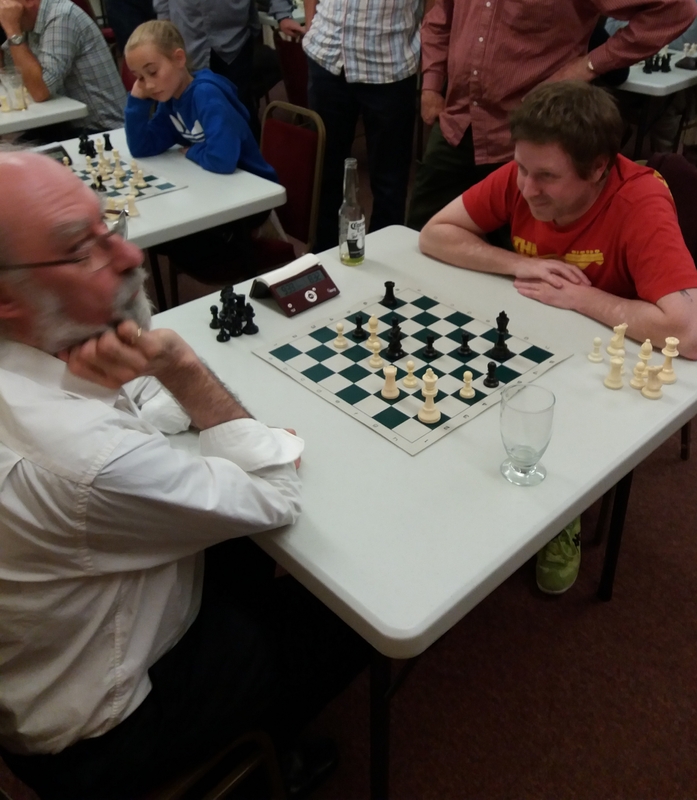 Posted on 20th August 2018 Author Alan PageCategories Other1 Comment on Rapidplay Championship updated with 17th August results.